We made it through 5 DAYS OF TODDLER ACTIVITIES as part of our 10 Days of Toddler Activities Challenge and I am having so much fun! My daughter is too... and I've actually come up with so many more activity ideas for my preschooler while we've been having fun with my toddler! You can follow along with me on Instagram (I'm @kristinatoddlerapproved) to see the materials you'll need and activities as they are shared! I'm updating our landing page each day as well! Today's activity is the simplest ever, but it was so fun and keep her occupied and exploring for a long time! 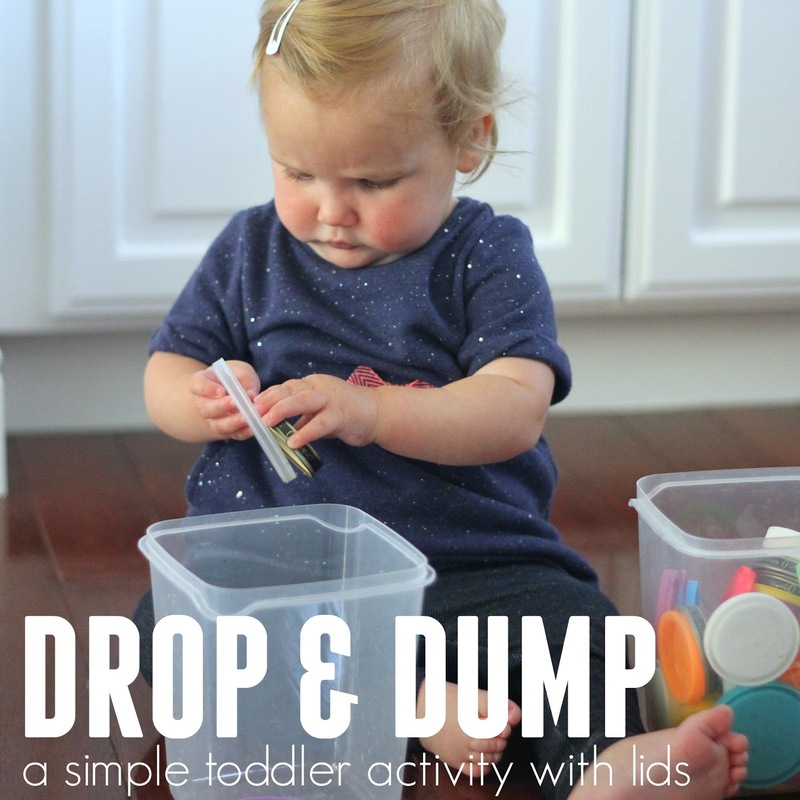 We did a Drop & Dump Toddler Activity using lids! For this activity you just need two things! I collect all sorts of lids and keep them in a huge container that we pull out again and again. My favorite lids are play-doh container lids and baby food jar lids. I only really keep large lids, since I get worried with the small lids that my toddler might choke on them and I like to keep them in an easy to pull out container for every day play. 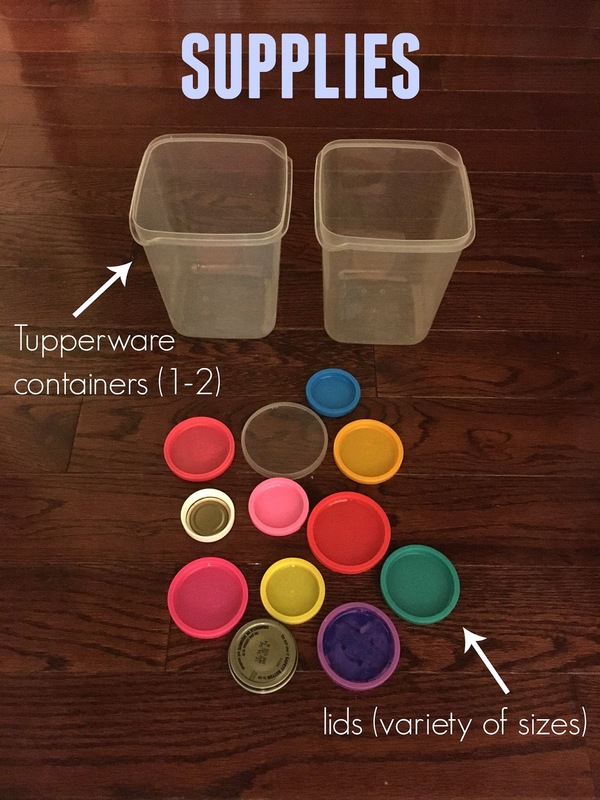 To start off, she just transferred the lids from one tupperware to the other tupperware. She loved hearing the sound of the lids drop into the tupperware and make a loud thud sound. 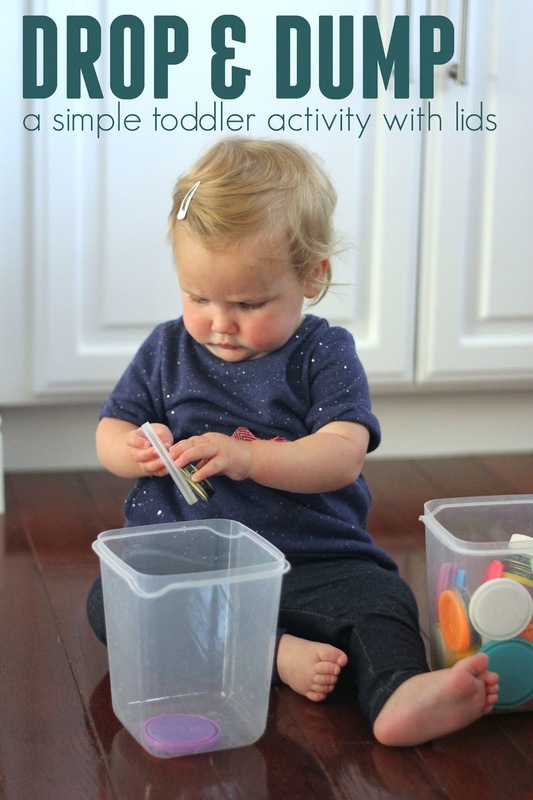 She also loved dumping out the lids again and again and stacking the tupperware together. She thought it was so funny to have to bring them to me to separate again and again and again. Easy Peasy toddler activities are always my favorite! If you've missed any of our other activities this week, check them out below. Tried your little activity with my 14 month old and she loved it. It's really good fun for their fine motor skills. Thank you so much.